CHOISIR (AUS) (Chestnut 1999-Stud 2003). 7 wins-3 at 2, VRC Lightning S., Gr.1. Sire of 1644 rnrs, 1073 wnrs, 92 SW, inc. Olympic Glory (Longchamp Prix Jean-Luc Lagardere, Gr.1), Starspangledbanner, The Mission, Obviously, Sacred Choice, Historian, Choice Bro, The Last Lion, Japonisme, Divine Prophet, Kushadasi, Sir Moments, Dreamscape, Hurried Choice, Glory Awaits, Secret Weapon, Celtic Dancer, Stimulation, Rajasinghe, Chandlery, etc. Twitchy Frank (f. by Choisir). 3 wins. See below. Marseillaise. 9 wins from 1100m to 2200m, A$198,307, Broome Cup, Alice Springs TC Northern Territory Guineas. Red Pixie. 3 wins. See above. Sanguinea. Placed at 3 in Aust. Candente. 5 wins to 1200m, BRC Gallopers Sports Club P., 2d BRC Brc.com.au P., 3d BRC Mater Dei School H., Yellowglen H.
Long Stem Red. 4 wins. See above. She's a Kicker. 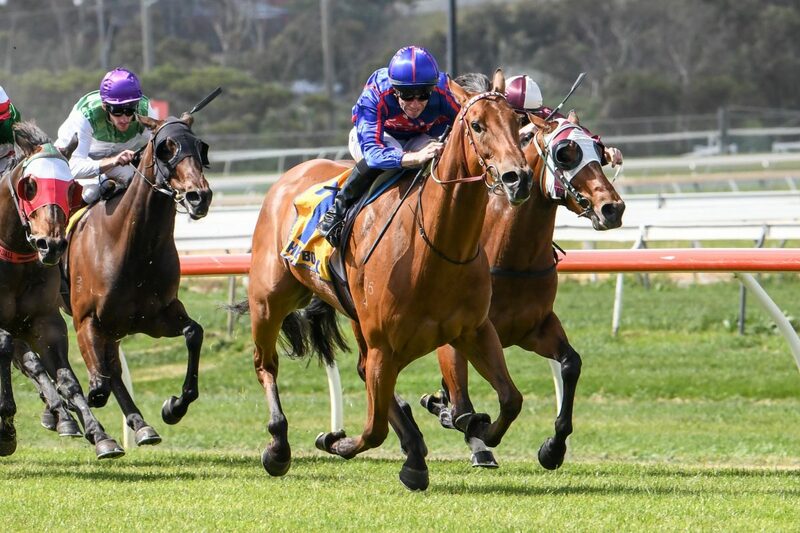 3 wins at 1200m to 2016-17, 3d SCTC Stanley River Thoroughbreds H.
LUBITON (Snitzel). 5 wins-1 at 2-from 1200m to 1600m, A$367,150, to 2017-18, MVRC Tesio S., Gr.3, Wyong RC Mona Lisa S., L, ATC Ranvet H., TAB H., 2d Illawarra TC Arrowfield Classic, Gr.3, ATC Star Mile H., Sydney Rowing Club H., McGrath Estate Agents ACT H., 3d ATC Ascend Sales Trophies H., 4th ATC Shannon S., Gr.2. CAMINO ROSE (Sea Road). 9 wins. See above. Headline News. 4 wins-1 at 2-from 1200m to 1650m, QTC Latin Knight H., 2d BATC Light Fingers H. Producer. Pedro's Tycoon (Just Awesome). 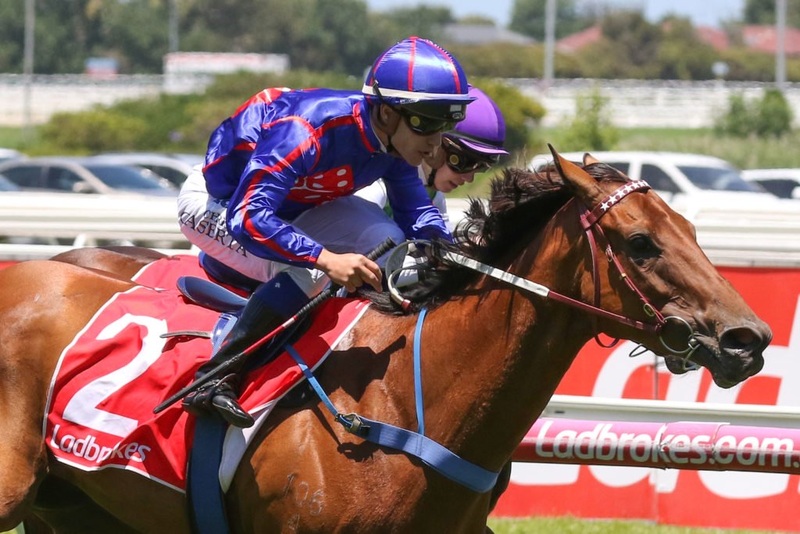 4 wins-1 at 2-at 1000m, 1100m, A$90,035, 2d BTC Golden S., L, QTC Wanless Wastecorp 2YO H., 3d BTC Suncorp Metway H., Birch Carroll & Coyle H.
Man of Oar (Oarsman). Winner at 2, 2d Qld Tatt's RC Tattersall's 2YO H., 3d Qld Tatt's RC Australia Post S., L, BTC Sky Racing Brisbane Bloodstock 2YO H.
El Guapo. 6 wins-1 at 2-from 1000m to 1600m, A$90,669, SAJC Skycity H., Allan Scott Park Morphettville H., 2d SAJC Melva Atkinson Sprint H.
BONNE PRINCESS (Lord Silver Man). 6 wins-4 at 2-to 1350m, BATC Courier Mail S., L, Qld Tatt's RC Highflyer Welter H., QTC Denise's Joy Welter H., Stafford H., Meeandah H., William Wentworth H. Producer. HARD TO CATCH (Dodge). 13 wins-1 at 2-from 1200m to 1600m, A$1,177,600, BTC Sprint H., Gr.3, QTC Bribie H., L, GCTC Prime Minister's Cup, L, SCTC Glasshouse H., L, BTC Big Dog Racing Supplements H., Zupps Holden H., QTC Red Bull H., GCTC Carlton Gold Coast S., Ipswich TC TL Cooney H., BTC Citypacificfinance H., QTC Lady Lustre H., Paul's Folly H., 2d QTC Stradbroke H., Gr.1, BTC Summer S., Gr.3, GCTC Prime Minister's Cup, L, Goldmarket H., L, Toowoomba TC Weetwood H., L, Qld Tatt's RC Kramer Technologies H., QTC Bengalla Lad H., 3d BTC Sprint H., Gr.3, BTC Doomben S., L, Qld Tatt's RC Tattersall's Open Mile, L, Members' Cup, L, QTC Brisbane H., L, BTC Hri.org.au H., QTC Jimmy's 65th H., BTC Northern City Finance H., Triple M's Totally Different H., 4th QTC Falvelon H., L.
3 wins to 1400m, A$175,450, in 2017-18, VRC Craftsman H., MVRC MMR Creative Agency H., 2d MRC Ladbrokes Cash in H., 3d SAJC Darley in Victoria H.